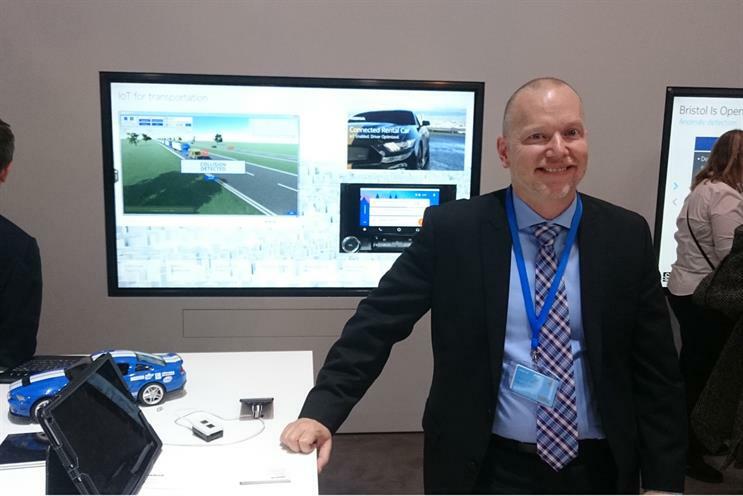 Connected car technology will soon be developed enough that the personality of a driver's car will soon be separable from the vehicle itself - but auto manufacturers won't give up control easily, said Nokia's Internet of Things marketing chief. Speaking to Campaign, Jason Collins said he could see a time when the software used in a vehicle could be ported as easily as between two smartphones – but not any time soon. "I think there will be a battle between that method and the auto manufacturers wanting to own their customer," he said. "I don’t think the auto makers are ever going to win that battle, but they’ll put up a fight." Car companies will fight back against any threat to their control of the ecosystem by playing on the emotional connections people have to their vehicles, Collins added – pointing to innovations shown at the Consumer Electronics Show last month such as Yui, the system in Toyota’s Concept-i. But Collins believes the industry should be working towards a system in which a car’s personality, even if tailored to an individual driver, could effectively be transplanted to another shell. "I would love to do that – the vision is that I should I be able to transport that wherever I want." Nokia is working with car rental brand Hertz, software developer SAP, car parts maker Continental and other partners to develop a "connected rental service", which launches this week at Mobile World Congress in Barcelona. The service connects a rental vehicle with an app on the user’s phone to automatically load their seating and music preferences to the car, provide directions, find parking spaces, lock the car using the phone, and a number of other features. Collins said the multilateral nature of the project was a big step forward. "We are no longer captive to the auto manufacturers for the services in our cars," he said. "Here’s an opportunity for service providers to do something a little different." Collins joined Nokia last January when his previous company, Alcatel-Lucent, was acquired by the Finnish firm. Alcatel-Lucent had been developing connected car tech for a number of years, but focused on the enterprise market – smart vehicles for plumbers, for example – after its first experience of working on a connected car was hampered by Toyota’s rigid insistence on controlling all the branding in the services within the car. Speaking at an MWC conference session earlier on Cars as a Service, Collins said the introduction of technological advancements to vehicles were hobbled by a lack of "agility" from companies in their approach to collaboration. But he added that traditional car companies were also built the wrong way up. "The auto industry has been built for the last 150 years on mechanical engineers driving electrical systems that drove the need for software," he said. "The software was at the bottom of the pyramid. But if you look at a company like Tesla, where’s the software? It’s at the top of the pyramid, and that’s where things are going." At the same session, BMW’s senior vice-president, digital business models, Dieter May, acknowledged that his company had been "vehicle-centric" in the past, but said things were changing. "We really think that the consumer as the centre of our activity also needs to be at the centre of our digital product," he said. This meant that BMW’s slogan, "Sheer driving pleasure", now had to refer to the digital experience as well as the engine, he added. But May also seemed to confirm Collins’ characterisation of car companies, when he said: "One thing we believe in is you need to be in charge of the customer experience, especially when you think about the three major things which are going to change around in the car: autonomous driving, digital products, and the integration of the car as part of your digital life. "These three things make dealing with and managing the customer experience even more important than in the past." WATCH: Will 5G mean the death of Wi-Fi? WATCH: What's the biggest trend in mobile right now?